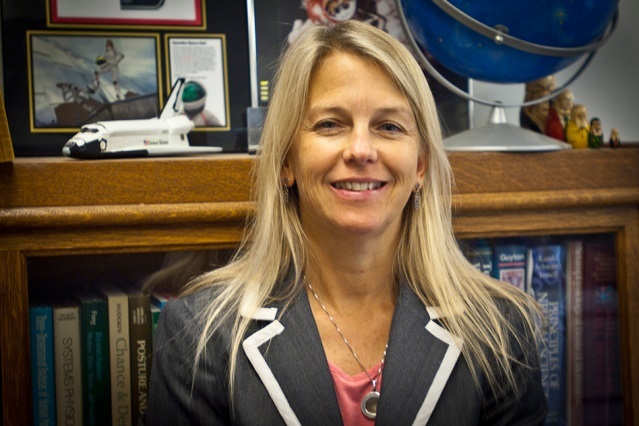 The Mars Society is pleased to announce that former NASA Deputy Administrator Dr. Dava Newman will speak about current planning for human space exploration at the 20th Annual International Mars Society Convention, scheduled for September 7-10, 2017 at the University of California Irvine. Dr. Newman served as deputy to Administrator Charles Bolden from 2015-17, helping provide leadership, planning and policy direction for NASA, while also representing the agency to the Executive Office of the President, Congress, heads of federal and other appropriate government agencies and international organizations. Prior to Dr. Newman’s tenure with NASA, she served as the Apollo Program Professor of Astronautics at the Massachusetts Institute of Technology (MIT) in Cambridge, a role she resumed shortly after leaving the agency. Her areas of specialization include aerospace biomedical engineering, advanced space suit design, human factors, engineering systems and design and space policy.